Uncompromising quality meets unbeatable value. 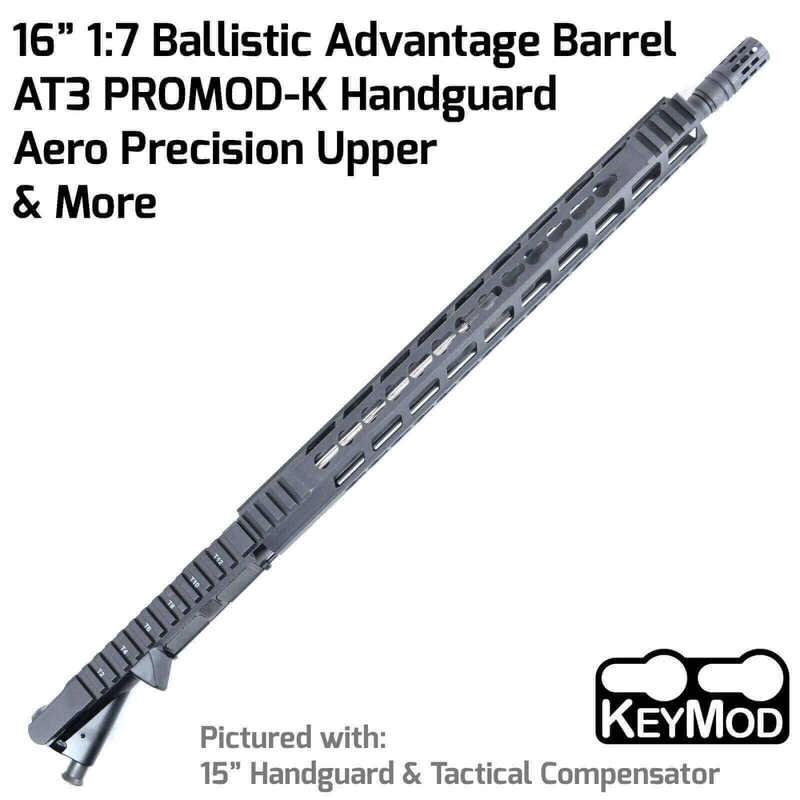 The AT3 Tactical FF-KM Complete AR-15 Upper. Purchased the complete upper, product arrived fast and free shipping. Fit and finish is excellent, paired up with both Spikes and Stag lowers. Thank you William for spending some time on the phone going over some additional parts. Thank you Zac for going over the upgraded barrel options. Will be ordering from them again on future builds. We are glad to hear that you are pleased with you order and the experience with AT3. Working on my first build. Fit, finish and quality seem top notch. I've not finished the lower yet, but I will update after testing. 3 calls to Zac was like talking to an old friend. Fast shipping and outstanding service. Will be buying from these folks again. Happy to hear that you're pleased with the end product and look forward to helping you with all future orders.